“BOUNDLESS” hits #3 again on Rock charts for VA, USA. And all 9 songs on NumberOne Music site are in the top 40! 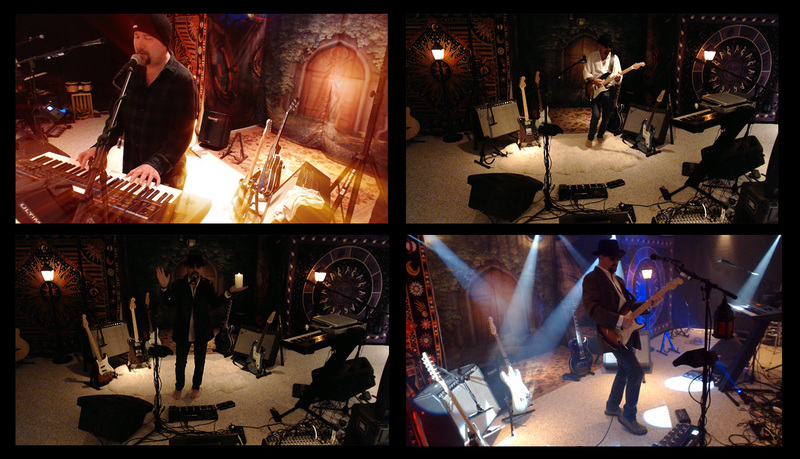 The image on the right, Allan is doing LIVE video webcast singing a new song we are excited to show you! Also… New single COMING SOON!! 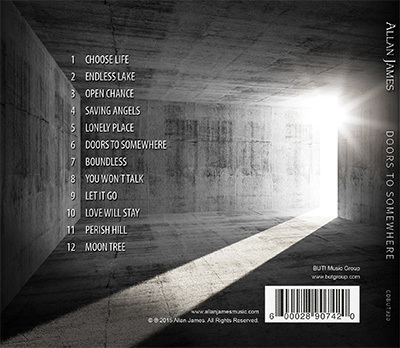 “Doors to Somewhere” album available on iTunes, CD Baby & Amazon. 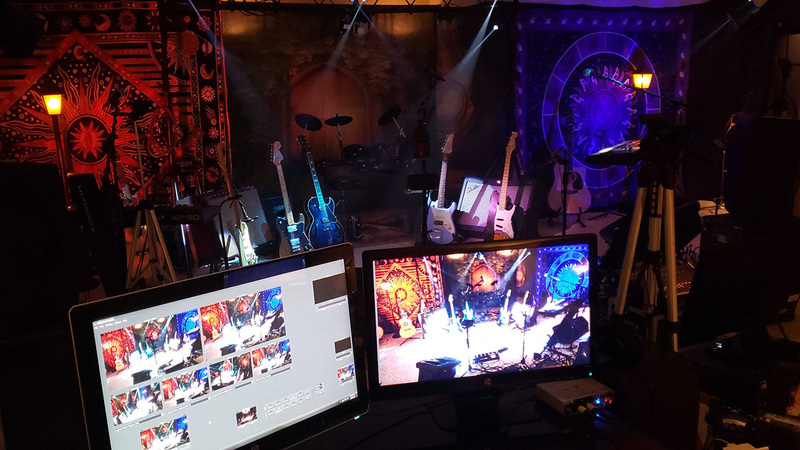 Back in webcast studio getting ready for some live shows! The new single is ready and release date to be announced shortly! Also the recording studio is in full swing with finishing up songs for EP or full album to be released this summer. Allan is working in the studio recording songs for the new album to be released in early 2019. There may be a single or EP released before the album. And… since 8 songs from the successful “Doors to Somewhere” album have been published to the N1M internet radio site, all 8 songs have been in the top 3 on the Rock charts USA! And all the songs continue to be in the top 30. This is one internet radio station out of several where the album is still going strong! Very happy to be back working in studio on 16 new songs! Now narrowing down which ones will make the cut. Also, some great things happening as “Doors to Somewhere” continues to be added & streamed on more new radio, internet sites and cable around the world, plus we have delivered 2 new 60 second radio ads to promote it! “DOORS TO SOMEWHERE” continues to gain popularity on several internet radio stations! On NumberOneMusic, 5 songs were again in the top 20 rock charts this week. #6 Lonely Place, #11 Doors to Somewhere, #12 Saving Angels, #17 Love Will Stay, #20 Boundless! And more doors opening as the NEW album is almost ready! “Doors to Somewhere” is available on iTunes, CD Baby & Amazon. 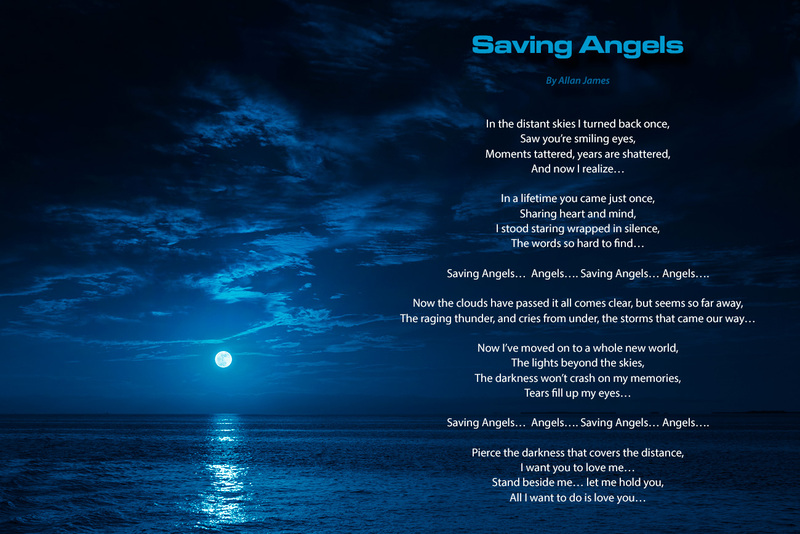 “Saving Angels” hits #1 on Rock charts VA USA several times on internet radio in 2018. This song has become very popular and fans from around the world continue writing some great feedback and wonderful comments about how they love this song. Thank you! Click image on the right to view the lyrics. Music video for the single “Lonely Place”. The single was sent out by the record label to over 150 radio stations and music biz people around the world and received great reviews and feedback. The new “Doors to Somewhere” album continues to gain popularity and has sold thousands of copies world-wide. Fans and music industry people are saying some great things about the CD. Some even say it will be a classic! Allan’s new album has done very well in the UK, USA and other countries like Australia, Israel, Spain and South America. 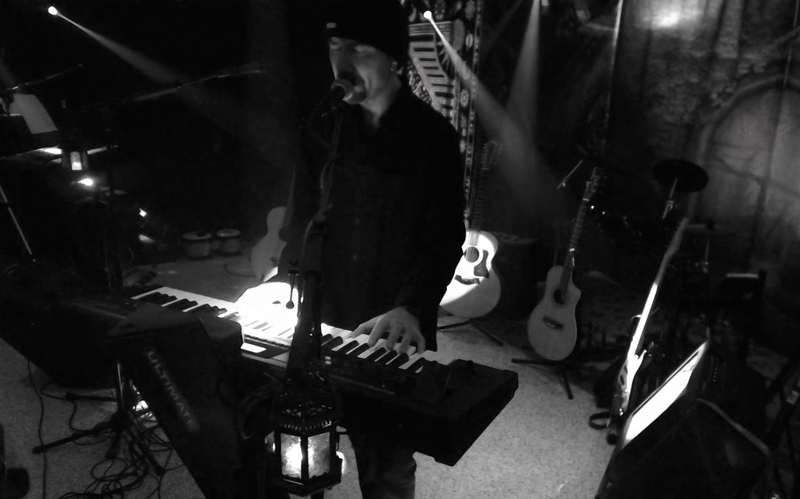 Allan wrote all the songs, played all instruments and produced the 12 new creative songs at Arc of Light Studios. This is Allan’s debut album on his new UK based record label (BUT! Music Group). Available iTunes, CDBaby and Amazon. “Choose Life” (from “Doors to Somewhere” album) is the first full music video since new album was released. This video has received rave reviews from around the world and several thousand views on Facebook, YouTube and music sites. 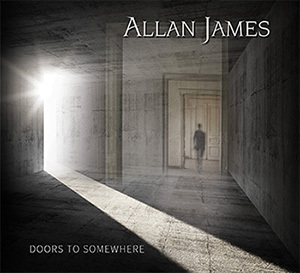 Allan has received tremendous positive feedback for his debut album “Doors to Somewhere” but he also has gotten several accolades for the original artwork he created for the album, cover, back and insert. The new T-shirts have the cover artwork, which shows a ghostly figure walking through stone walls, and doors to somewhere… GET YOUR T-SHIRT! First full music video “Choose Life” released to coincide with the first single “Choose Life” off the album “Doors to Somewhere”, was sent out and promoted to hundreds of radio stations around the world. Allan has received great feedback for his work on this video and new album by his fans and many in the music industry. The amazing Hollywood radio personality “Garrett Miller” interviews Allan James about the new debut album and talks to him about his musical journey and how he was able to produce an amazing and highly anticipated album. Garrett is is based in LA California and has a nightly radio show. The 3rd short promo video for the new Allan James album includes a portion of the song “Open Chance”. New Debut album “Doors to Somewhere”. Available in stores now! This second short promo video for the new Allan James album includes a portion of the song “Doors to Somewhere”. It conveys a feeling of being able to open doors, find a way out, and make opportunities happen. So now the doors are open! Come on out and hear the new album that is already gaining large popularity around the world. 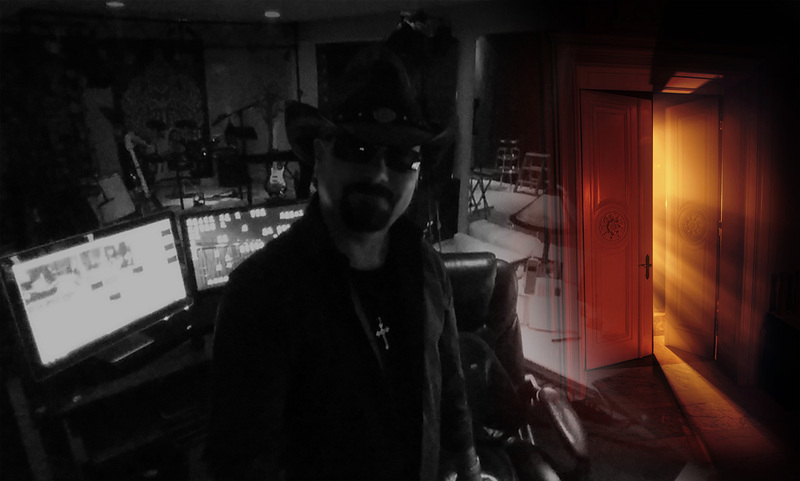 About a year ago Allan sent some demo songs to a famous promoter (known as “The Man in Black” in the music biz) and record company located in the UK. A year later Allan is now signed to this record label and releasing a new 12 song debut album. This short introduction video provides a little background on how the story begins. About a year ago, Allan sent some demo songs to a record company in the UK and within a week he got a phone call from a record executive (Jamesie “The man in black”) to discuss a plan to record a new album and sign a record deal. Allan worked on the project in secrecy for about a year as he knew he was getting signed but really could not tell anyone all the details until the papers were signed. Now te album is complete, the waiting is over and the doors are open! Allan officially signed a record and publishing deal June 1, 2015. Now an international recording artist, his new debut album “Doors to Somewhere” was released August 28th, with world-wide distribution under his new record label “But Music Group”. AJ wrote, performed, recorded and produced the 12 new songs. The record / publishing / promotion company Allan signed with, But Music Group, was created by a very famous promoter. He is very well known in the music industry and some know him as the “Man in Black”. He has worked with and promoted many iconic acts such as Elton John, Foreigner, Joe Walsh, Deep Purple, Pink Floyd, The Cars, Bryan Adams, Yes, Robert Plant to name a few. Allan’s songs have already received some great feedback from fans around the world as well as from important music biz executives. One example is, during a recent record company meeting in the UK, Perry Howard, president of BMI America said “Allan’s songs are great” and production wise to quote “With the likes of Jeff Lynne, George Harrison and Steely Dan”. 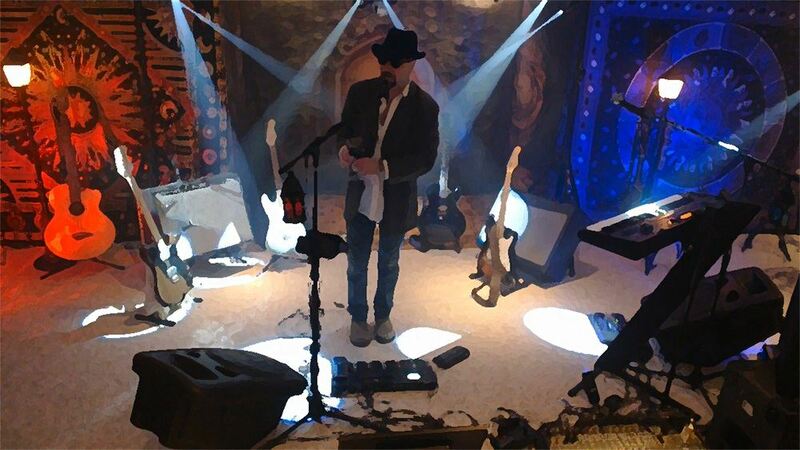 Allan has begun working on a live show to promote the album as well as plans for live webcast shows and music videos. Check out the new album Lyrics.